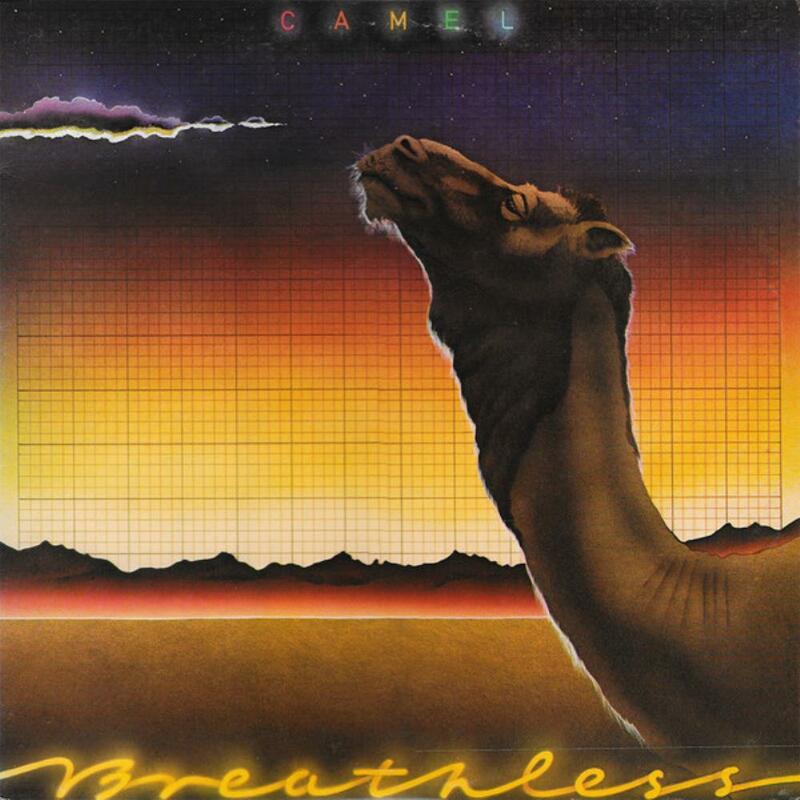 Folk-oriented album by Camel! The most folky sounding album for Camel up to that date. The vocals and flute works made by Andy Latimer contribute to that. Really much better than the previous one - Rain Dances. The synchronism returns to the band. The musicianship is perfect and there're not anything boring and needless on Breathless. The album is softer than Moonmadness, but it's more folky and jazzy than it. That means it's different, but not weaker than Moonmadness. Of course, it's weaker than the first three albums, but they are samples of classic progressive rock. I want to say, that Breathless is above 3.5 stars album, but under 4 stars surely. Something like Moonmadness - around 3.75 for me! Interesting is, that the album produce a couple of jewels like the previous one - Rain Dances. Here the best track is The Sleeper: true masterpiece. The other very original song is Down on the Farm. Very interesting and very innovative and different. It's made by Richard Synclair - the newcomer (this is his second album for Camel). The other lond song - Echoes is another fresh-sounding song. The worst songs are Summer Lightening and You Make Me Smile. But that only shows how constant is the quality of the album. Most of the songs are 3.5, while on Rain Dances most of the songs are 3 stars with some boring elements. That's why Rain Dances is the weakest album to that date for me!